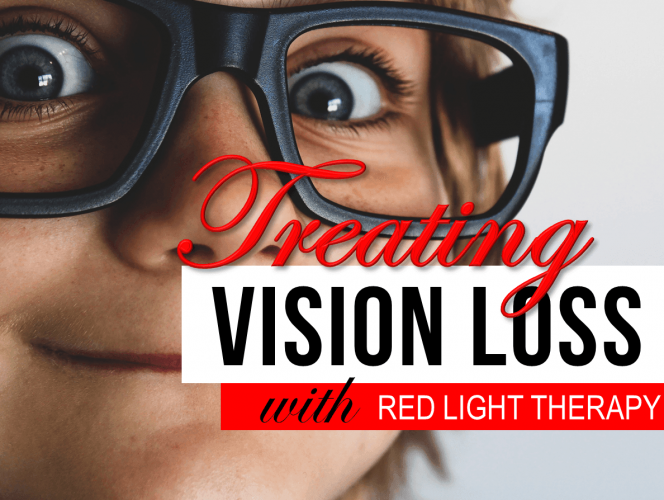 In this presentation you’ll learn about how you can improve your eyesight and other vision problems such as amblyopia and age-related macular degeneration using red light therapy. Can red light therapy damage my eyes? 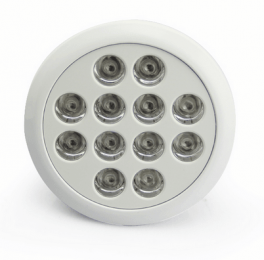 Do I need to use eye protection during red light therapy treatment? After that we will explore the mechanisms behind the incredible eyesight boosting benefits of red light therapy. If you enjoyed this presentation please scroll up and click your favorite social media button to share with your friends and family. Do I need to wear eye protection during red light therapy? 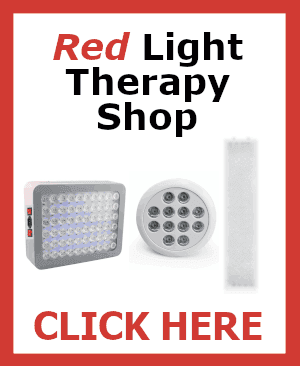 Can Red Light Therapy Improve My Vision? How does Red Light Improve Vision? 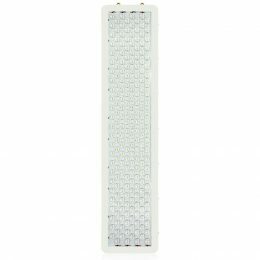 By far the most common questions I get from people are ‘can red light therapy damage my eyes’ or ‘do I need to wear eye protection during red light therapy treatment?’ This question probably arises because people know that the sun can damage their eyes, and they also know that tanning beds can damage their eyes, so naturally they wonder if red light can as well. 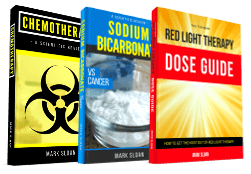 We’re going to take a look at solar radiation and tanning bed radiation now in depth and contrast those with red light to give you a better understanding of all three and to put it all into context for you. 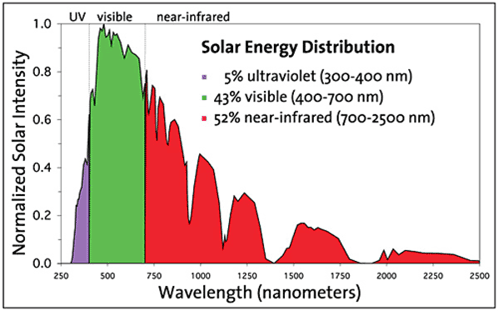 At least 60% of the radiation coming from the sun is in the red and near-infrared end of the spectrum. And only 5% is ultraviolet. It’s the ultraviolet portion which can cause damage to the eyes. 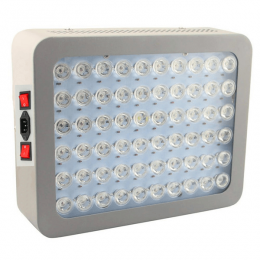 Red and near-infrared light offer some protection from the ultraviolet light. One fascinating fact about solar radiation is that ultraviolet light causes damage in the same way as ionizing radiation from X-rays or radiotherapy. 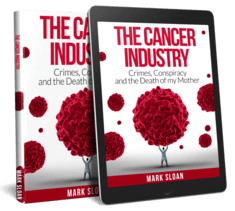 The only difference is that when you get a sunburn, only the surface of your skin is being burnt, while a cancer patient who receives radiotherapy will incur burning all-the-way through their entire body. Typical tanning beds give off 95% light in the UVA spectrum and only 5% UVB, which is of the type that converts cholesterol in the skin into Vitamin D. Unlike the sun, tanning beds emit only the damaging frequencies with no protective red or near-infrared light. 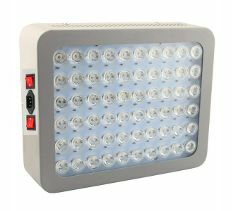 And in the absence of red and near-infrared light, ultraviolet radiation becomes increasingly harmful. This is why tanning beds are considered dangerous and known to cause cancer. 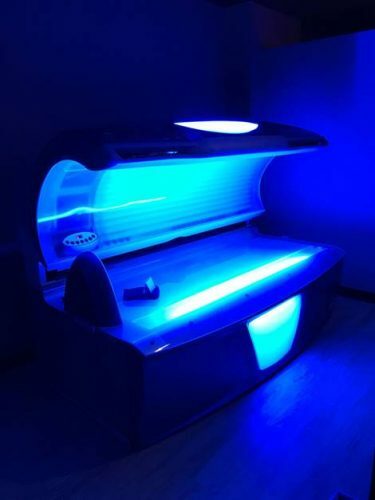 A fun fact about tanning beds is that they can be made safer and much more medicinal by replacing about 60% of their ultraviolet bulbs with bulbs in the red or near-infrared end of the spectrum, which will be much closer to simulating the radiation coming from the sun. 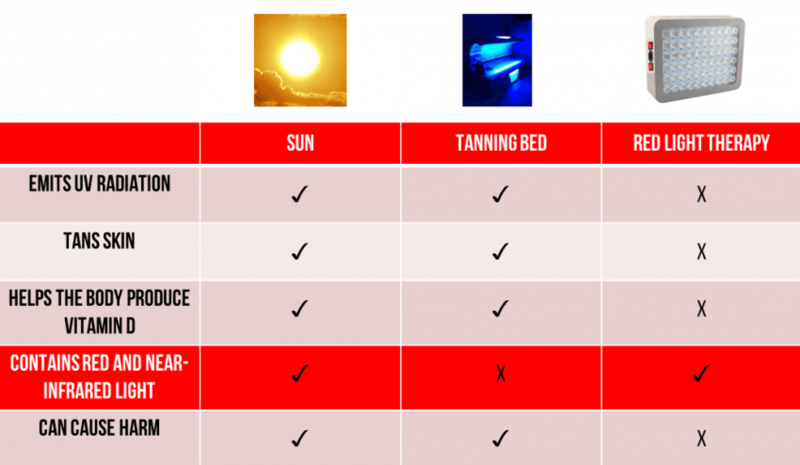 The following chart that I’ve created will help you understand the differences and similarities between the sun, tanning beds and red light therapy. Do you need to wear eye protection during red light therapy? There have been many studies testing the ability of red light to heal a number of retinal diseases, including age-related macular degeneration and amblyopia, which we’re going to take a look at now. In a 2008 study, researchers from the University of Heidelberg, Germany conducted a study on 203 patients (average age 63) with age related macular degeneration (AMD). 10 patients served as controls and 193 patients with and without cataracts received four treatments of near-infrared laser therapy over a period of two weeks. In 2012 the same researchers conducted a study to see if near-infrared laser therapy could improve visual acuity in young and old patients with amblyopia. At the time of the study, amblyopia was believed to be treatable only in children. 178 patients were included; 20 controls received mock treatment and 158 received laser therapy to their eyes for 30 seconds at a distance of 1cm, repeated on average 3.5 times. To accomplish her visual improvement, Kaya was using our handheld red light therapy device, which by the way is an astounding 3200x more powerful than the laser device used in both studies above. 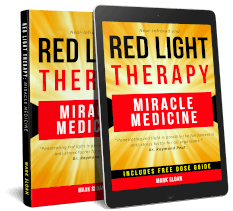 Using our red light therapy dose guide, I calculated the exact treatment time and distance required using our handheld device to get a similar dose to what was administered in the two studies. To get a 1 J/cm2 dose using the 24 watt handheld device, apply the light for 5 seconds from a distance of 5cm or 50 seconds from a distance of 50cm. Of course, given red light’s astounding safety profile, never be afraid to experiment with more. 5 minutes, 10 minutes, 20 minutes, 30 minutes or more are all good treatment times to experiment with. In 2016, a number of researchers looked at all the existing studies that tested red and near-infrared light for treating various retinal diseases. The review reports evidence that red and near-infrared light can successfully treat a number of retinal diseases including “age-related macular degeneration, retinopathy of prematurity, diabetic retinopathy, Leber’s hereditary optic neuropathy, amblyopia, methanol-induced retinal damage, and possible others.” The scientists admit that photobiomodulation (red light therapy) is “well-poised to become an important player in the treatment of a wide range of retinal disorders (Geneva II, 2016).” Looks to me like it already is. 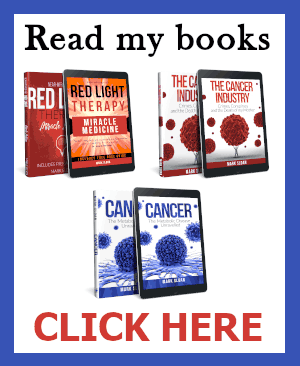 And given the availability of at-home red light therapy devices, no more waiting needs to happen before people begin applying this miraculous therapy to their lives. How is it that red and near-infrared light can produce for people treating their eyes and other parts of their bodies such remarkable results? That’s what we’re going to investigate now, and to do this, I will bring back some research about the naked mole rat from my previous work. You’ll recall from our previous work that the primary difference between the naked mole rat, which literally does not age, and normal rats which age and degenerate quickly, is that it has more highly-saturated tissue phospholipids than rats which live much shorter lifespans. The key thing to understand is that this changes the very nature of the stress response. During stress, its tissues release highly-saturated free fatty acids for energy. Thanks to the clean burning effect of highly stable saturated fatty acids, it provides energy, then the stress is switched off and glucose oxidation resumes. No matter what you want to call the eye condition, it is likely caused by the same thing: Increased unsaturation of the phospholipids comprising the eye cells. This changes the nature of the stress response. 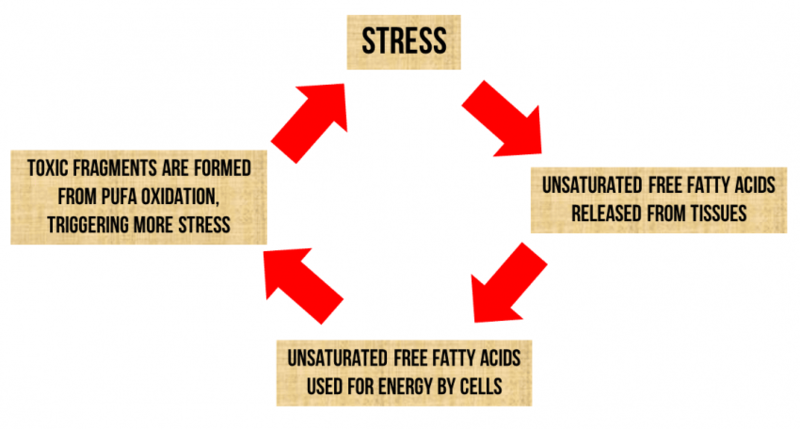 This is what the stress response looks like when cells have accumulated a high proportion of polyunsaturated fatty acids (PUFA) to saturated fatty acids. The key thing to understand here is that due to increased unsaturation of tissue phospholipids in cells, the stress response turns off and continues indefinitely, in a vicious circle. The body is overwhelmed and no longer has the resource to switch off the stress and resume glucose oxidation. The question is: Can red light help to switch off this vicious cycle of stress? Red light can interrupt the vicious cycle of stress in a number of ways, but here are two powerful ones. In fact, I think these are the two primary mechanisms behind the benefits of red light to the eyes in both studies above and in all studies where red light improved vision and helped the eyes heal. 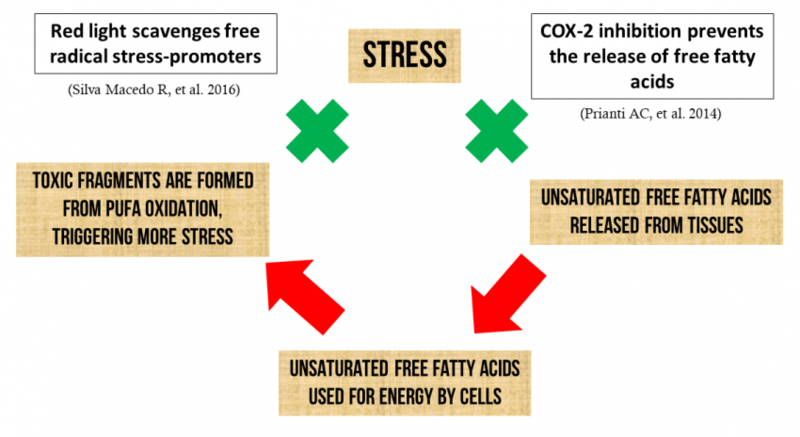 Red light inhibits an enzyme involved with free fatty acid release (lipolysis) called COX-2 (Prianti AC, et al. 2014). This breaks the cycle right then and there. 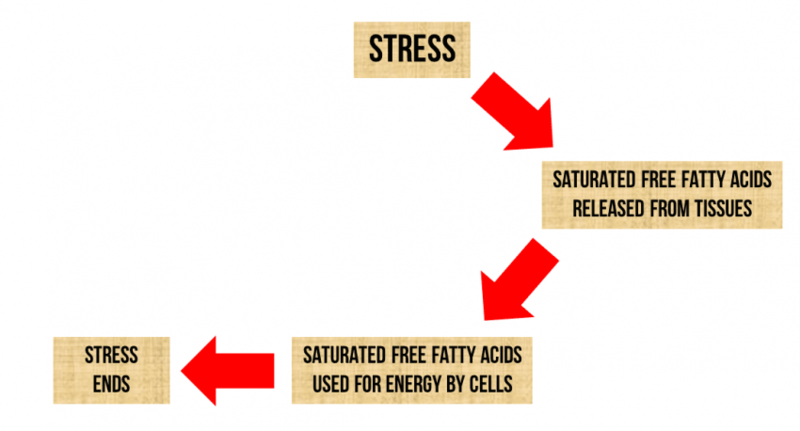 No longer are free fatty acids released, which means they won’t reach the bloodstream, will not be used for energy, and will not result in the production of toxic metabolites, which promote further stress. But theres’ more. 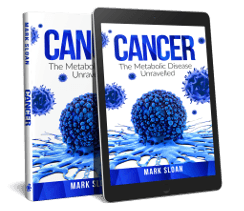 In diseased eyes, there are likely already many toxic metabolites present in the area that need cleaning up by the body in order to restore proper cellular function. Red light happens to be a powerful antioxidant, so any existing free radical PUFA metabolites will be scavenged, neutralized and eliminated from the area and from the body (Silva Macedo R, et al. 2016). Between lipolytic inhibition and antioxidant activity, this is why red light is such a powerful medicine for healing eyesight. Of course, for long-term permanent resolution of eye conditions caused by excess unsaturated tissue phospholipids, a dietary change to more highly-saturated fat is essential. Unsaturated fats that you want to avoid include any oils that are liquid at room temperature. Fats that are highly stable and around 98% saturated include butter, coconut oil, chocolate fat and beef and lamb fat. Eating these will slowly over time shift the tissue phospholipid content from unsaturated to more highly saturated, which will result in better function of eye cells, and in all cells of the body. Cells comprised of stable fats are stable and resistant to oxidation, degeneration and aging. Ivandic BT, Ivandic T. Low-level laser therapy improves vision in patients with age-related macular degeneration. Photomed Laser Surg. 2008;26(3):241-5. Ivandic BT, Ivandic T. Low-level laser therapy improves visual acuity in adolescent and adult patients with amblyopia. Photomed Laser Surg. 2012;30(3):167-71. Geneva II. Photobiomodulation for the treatment of retinal diseases: a review. Int J Ophthalmol. 2016;9(1):145-52. Prianti AC, Silva JA, Dos santos RF, Rosseti IB, Costa MS. Low-level laser therapy (LLLT) reduces the COX-2 mRNA expression in both subplantar and total brain tissues in the model of peripheral inflammation induced by administration of carrageenan. Lasers Med Sci. 2014;29(4):1397-403. Silva macedo R, Peres leal M, Braga TT, et al. Photobiomodulation Therapy Decreases Oxidative Stress in the Lung Tissue after Formaldehyde Exposure: Role of Oxidant/Antioxidant Enzymes. Mediators Inflamm. 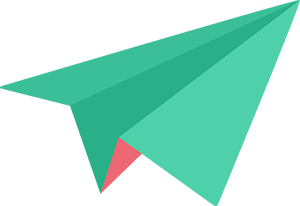 2016;2016:9303126.